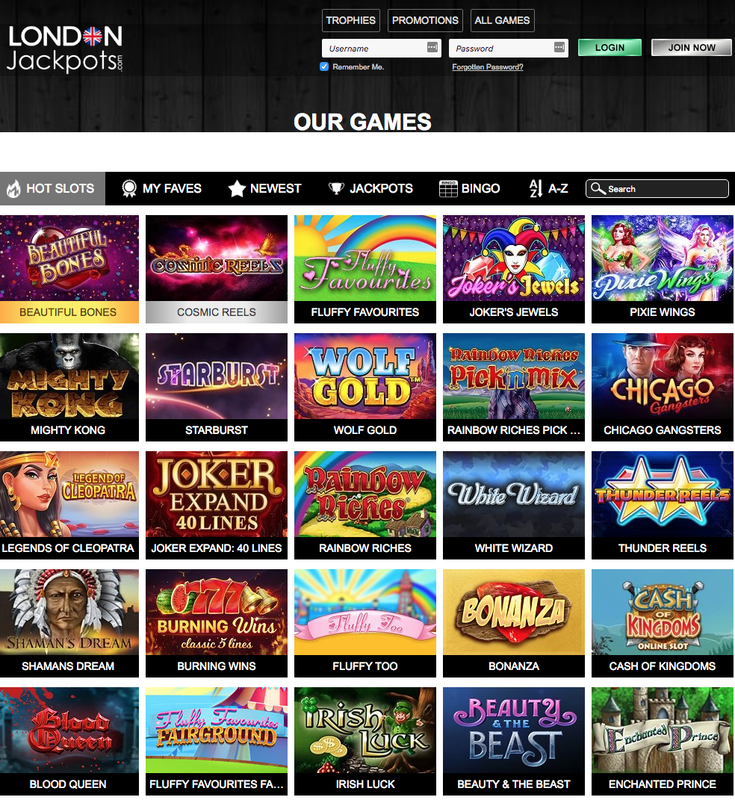 Jumpman Gaming are well-known for producing an endless stream of pretty bad online casino sites, but even by their own dismally low standards, new site London jackpots is almost impressively bad. Before we get into the details of this site, there’s another issue to deal with, and it’s a regular one for Jumpman sites. Go to any other tab on your browser, and the London Jackpots tab will call after you, essentially begging you to return to the site, something that is far from in keeping with the attention that is currently being demanded from operators when it comes to the protection of vulnerable gamblers and the prevention of gambling related harm. Why Jumpman is still able to get away with this is unclear, it’s safe to assume they’ll be ordered to stop son enough, but it would be refreshing to see the operator choose to remove this potentially damaging addition to their sites off their own steam, without having to be ordered too. However, that doesn’t seem likely, and it means that this touch is just one of many intensely disappointing aspects of London Jackpots, an online casino that manages to be derivative, and also unique, in that it has the same concept as multiple other sites, but fails to live up to the standards of a single one of them. As the name suggests, this is an online casino based around London, although, is it? Yes, the site is called London Jackpots, and the logo (if you can call it that when it’s essentially a poor, basic font displaying the name of the site) has a Union Flag providing the decoration for the second ‘o’ in London, but that’s literally where it stops. There is nothing else on this entire site that suggests London, not a single black taxi or red bus, not a solitary landmark, no cups of tea or bulldogs, no imagery whatsoever that suggests London, or the UK in any way. Instead the banner at the top of the page appears to have a floorboard pattern behind it (London has floorboards, we suppose, but it probably isn’t what this city is best known for) and once you get past that, there’s basically nothing else. There are thumbnails on the homepage, sure, but behind them there is a plain white background that just adds more disappointment. When you consider the potential in terms of imagery that the concept of London gives, the fact that Jumpman haven’t even bothered to throw a phone box into the design somewhere is appalling, it’s tough for our low expectations to not be sufficient with Jumpman, but that’s definitely the case here. The collection of games available at London Jackpots is not dreadful. Titles coming from the likes of Chance Interactive, Elk Studios, Foxium, iSoftBet, IWG, Microgaming, NetEnt, NextGen, NYX, Pariplay, and more means that there is a good amount of choice here when it comes to the games to play. There are over 500 slots to choose from, as well as a strong number of jackpot slots, as the name would suggest, as well as a few bingo titles, but that’s about where the fun stops here. The truth is, if London jackpots had anything else going for it at all, then the chances are we would consider this a fairly good collection of games. However, being that the games have nothing else to work with, thanks to an awful design and the reputation of an operator that seems to have stopped caring years ago, there’s nothing that’s good enough here, making London Jackpots yet another Jumpman site worth avoiding.